Furan fatty acids (F-acids) are valuable, bioactive minor components in lipids which are characterized by a furan moiety in the acyl chain. Here, we present a gas chromatography/mass spectrometry method operated in the selected ion monitoring mode (GC/MS-SIM) for the thorough determination of F-acid as methyl esters in fish. The method takes advantage of the molecular ion and two characteristic fragment ions and enables the unequivocal detection of >350 saturated, mono- and dienoic F-acids in four GC/MS-SIM runs. 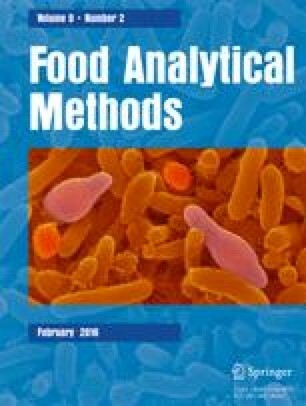 This method was applied to the analysis of the methyl esters obtained from the triacylglyceride (TG) and the cholesteryl ester (CE) fraction of ten individual fish liver samples. Up to 23 F-acids, including several new or scarcely detected homologues, were detected in the samples. The concentrations of total F-acids ranged from 25 to 280 mg/100 g lipids in the TG fractions and <0.11 to 115 mg/100 g lipids in the CE fractions. The online version of this article (doi: 10.1007/s12161-015-0211-x) contains supplementary material, which is available to authorized users. Simon Hammann has received a stipend grant from the Fonds der Chemischen Industry. Christine Wendlinger, Simon Hammann, and Walter Vetter declare that they have no conflict of interest. This article does not contain any studies with human or animal subjects.